I showed you some characters in the last post, C is for Characters, and this time I'll only show you the deer. You can scrap deer in February for Valentine's Day, deer at Christmastime, and deer all year long! Deer Valentine includes all of these little guys including the deer. 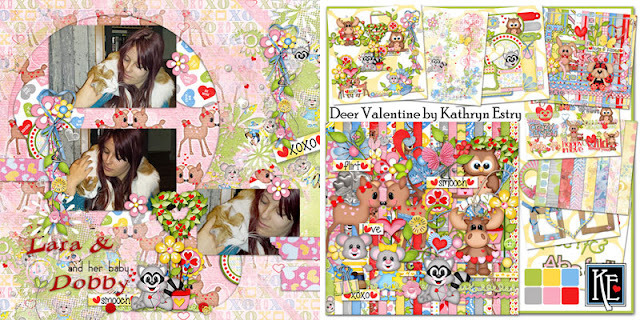 Enjoy these layouts by Melly and Kathy. 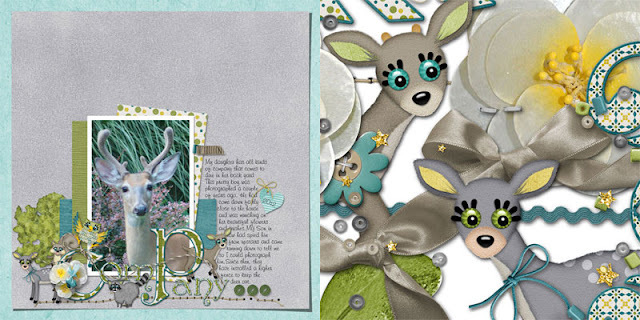 Yvonne and Kathy have created these layouts with the deer in Lori Lakeside. Glitzen and Blitzen are my two deer in Winter Wonderland. This sweet layout is by Liz. 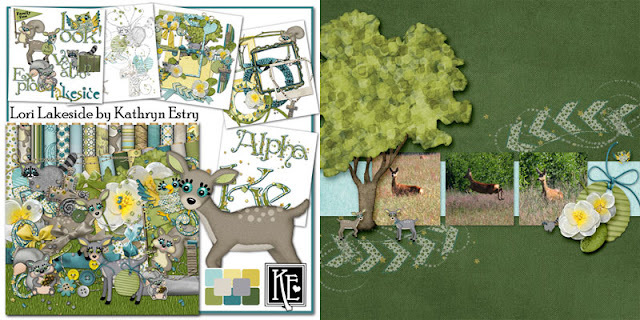 Remember to head over to my A to Z Challenge, check out the prize, and show me a layout with a deer!